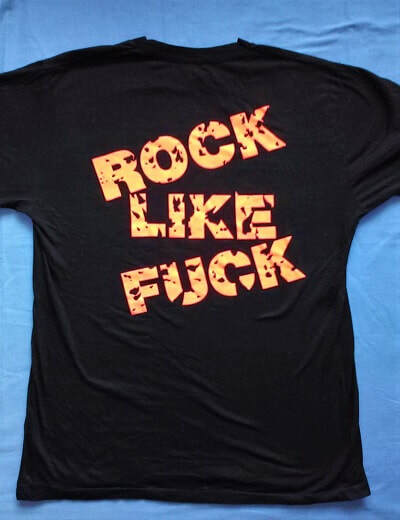 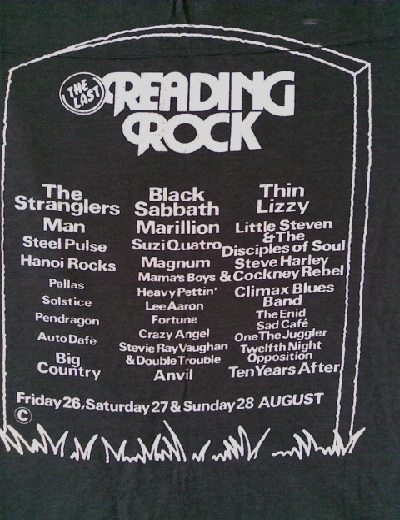 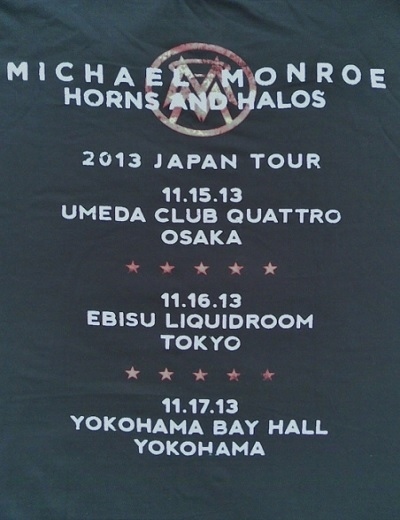 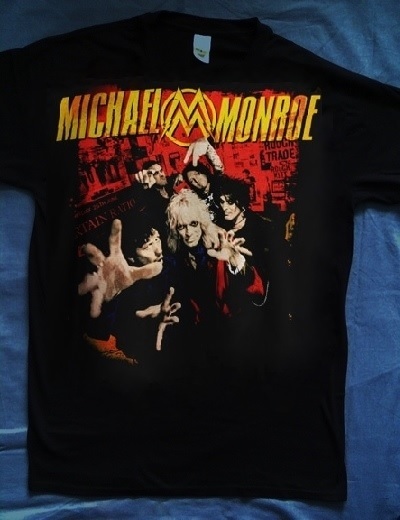 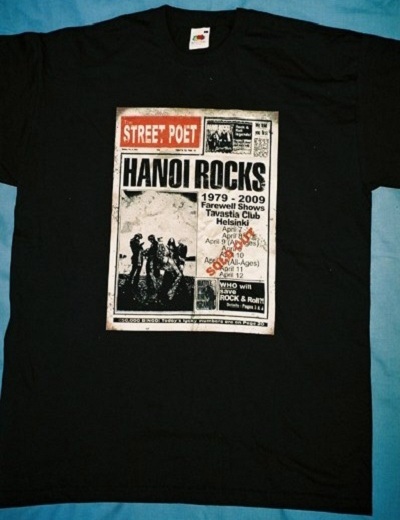 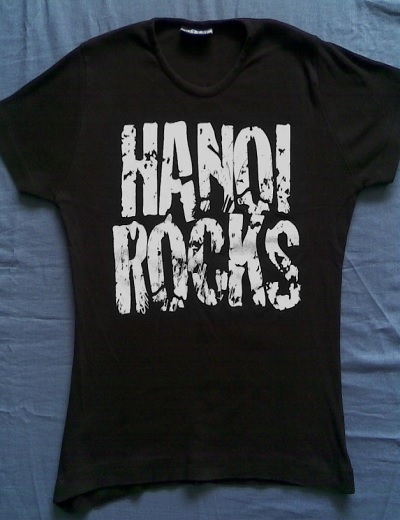 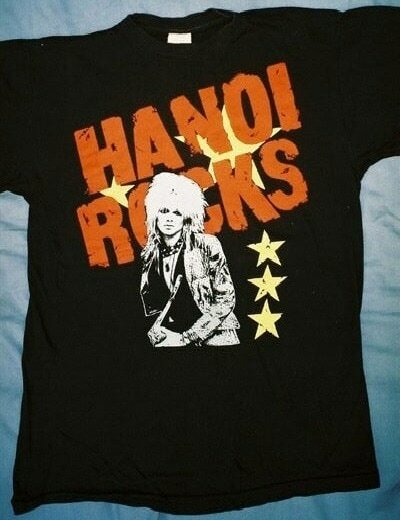 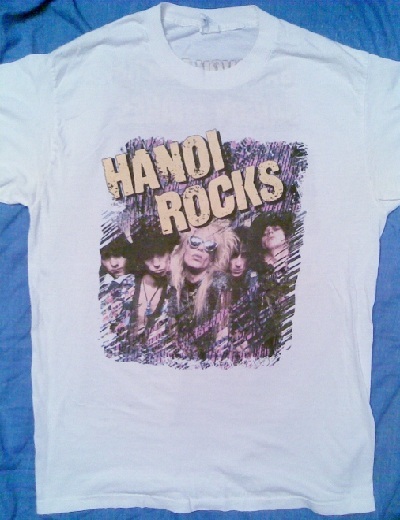 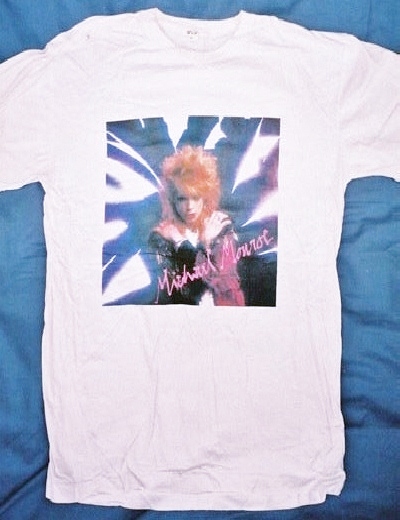 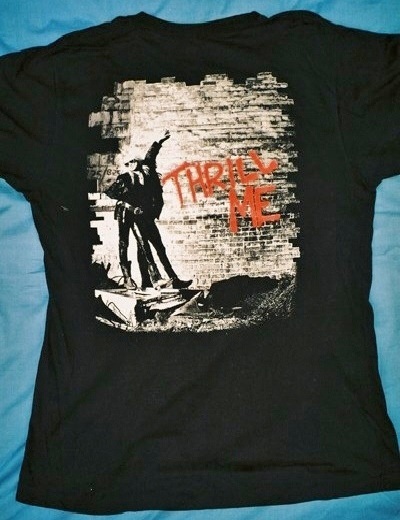 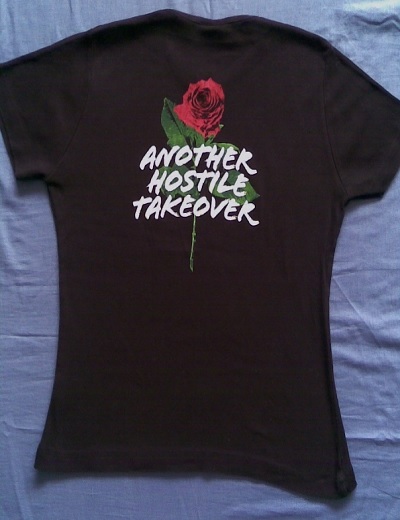 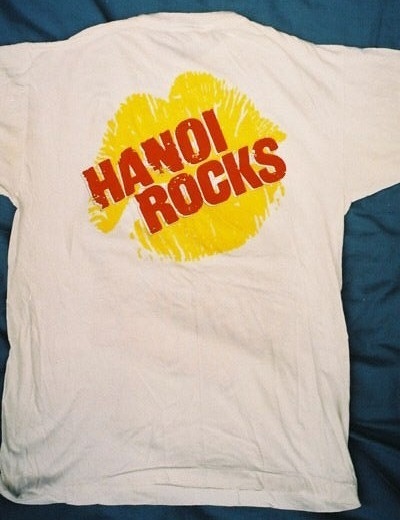 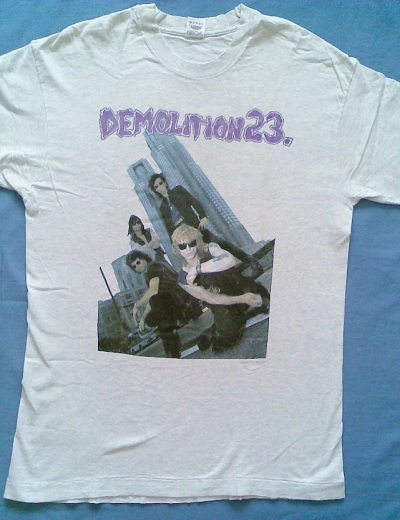 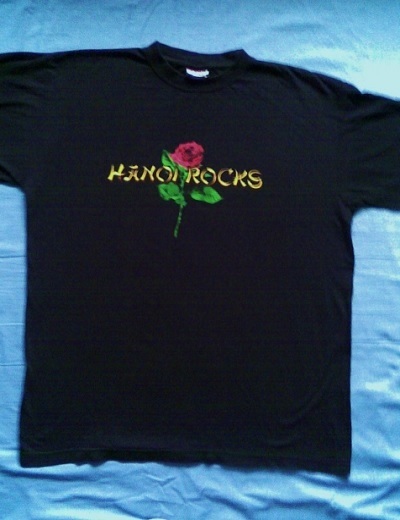 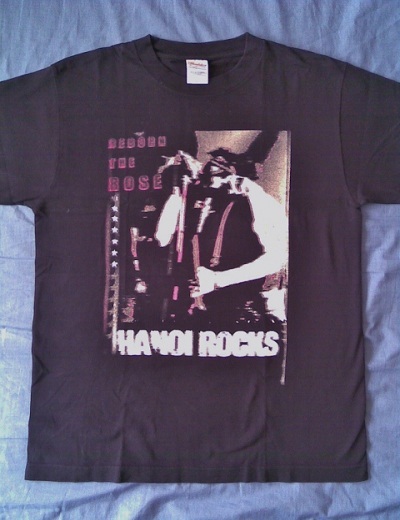 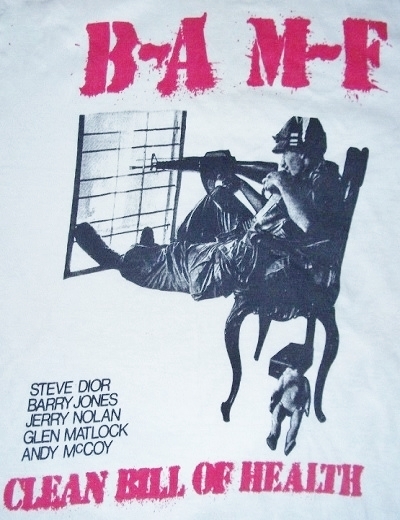 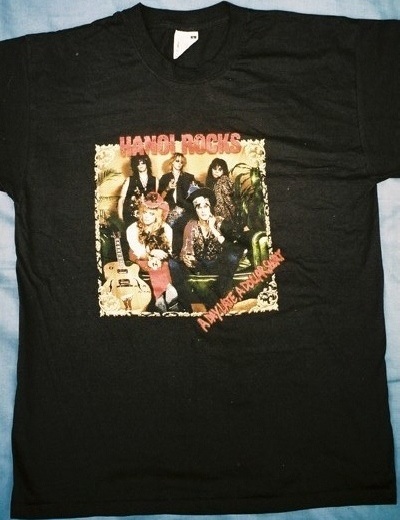 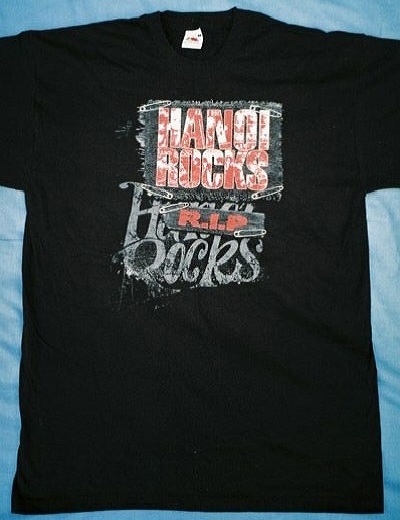 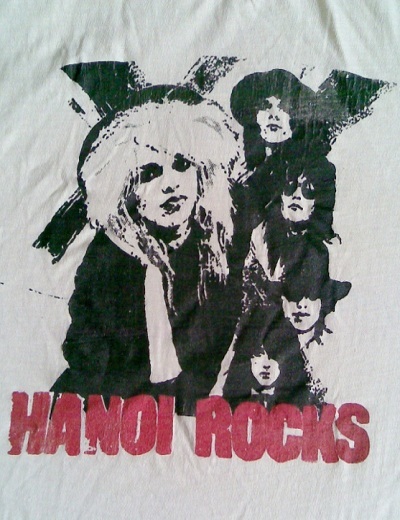 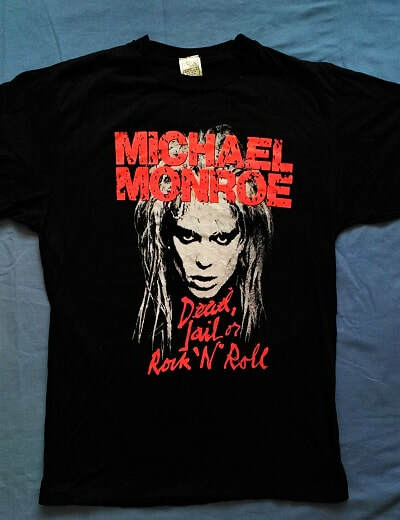 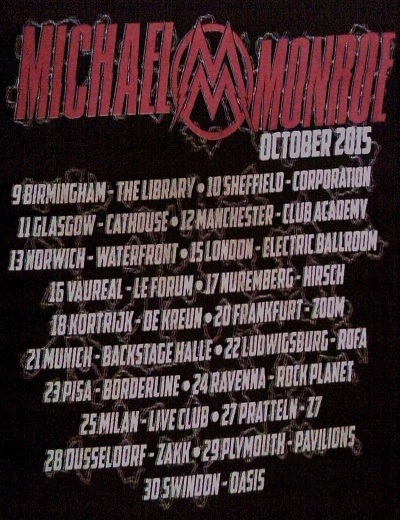 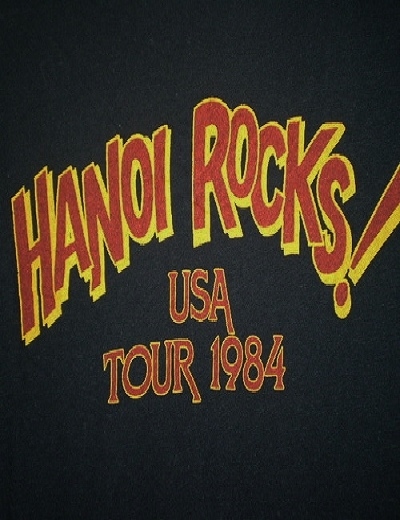 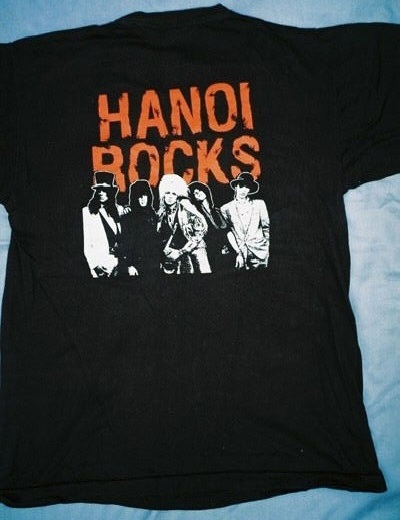 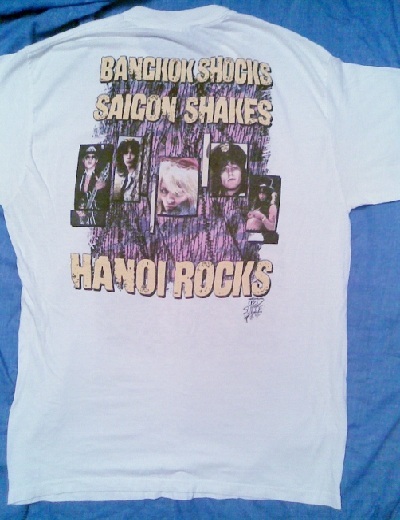 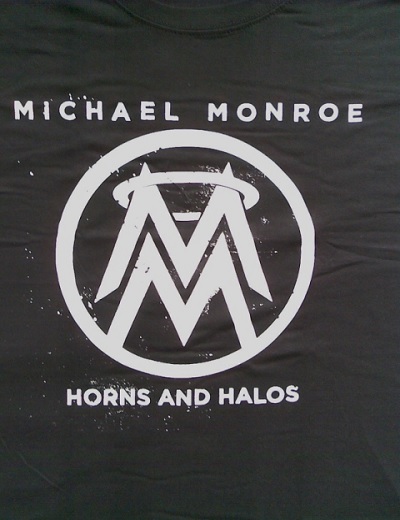 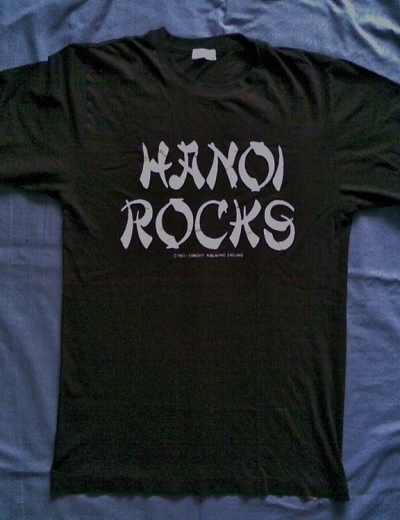 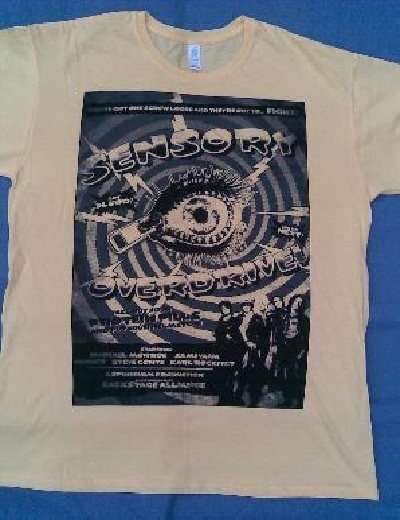 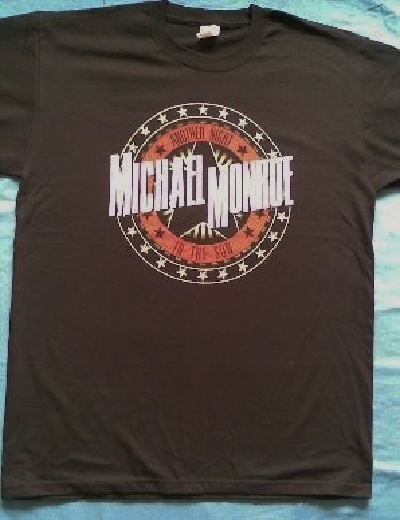 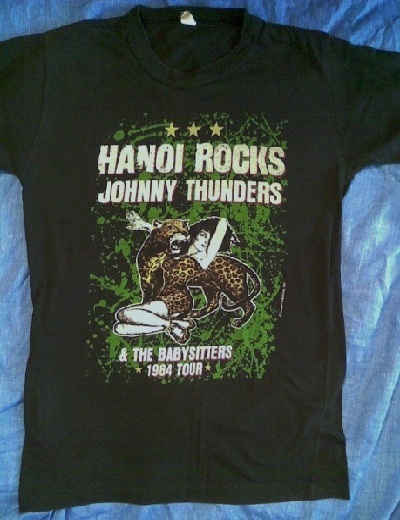 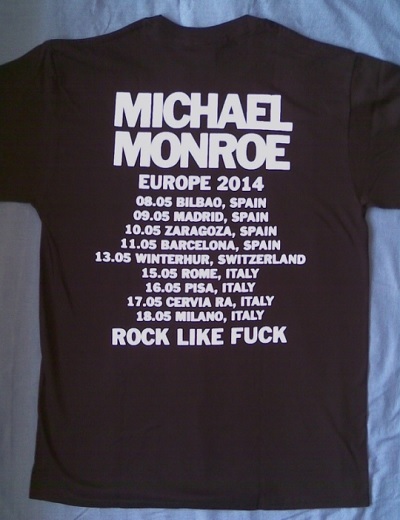 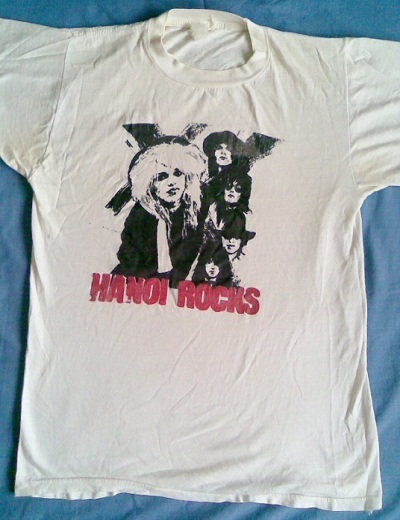 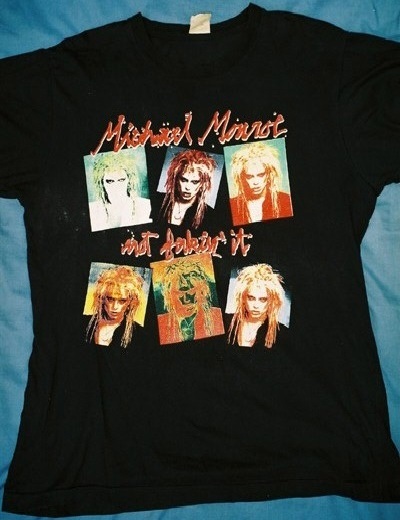 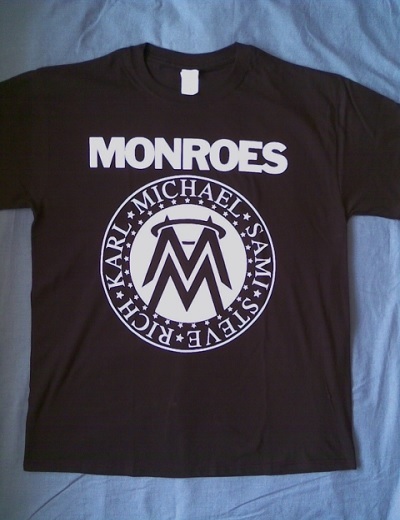 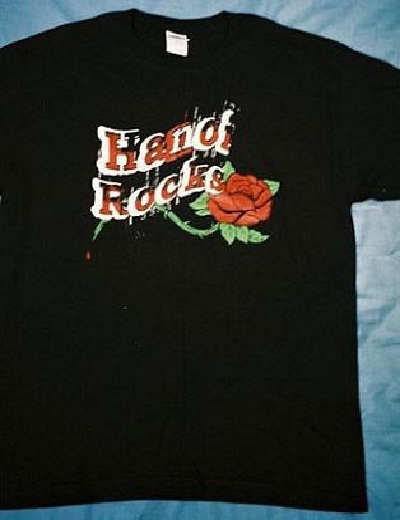 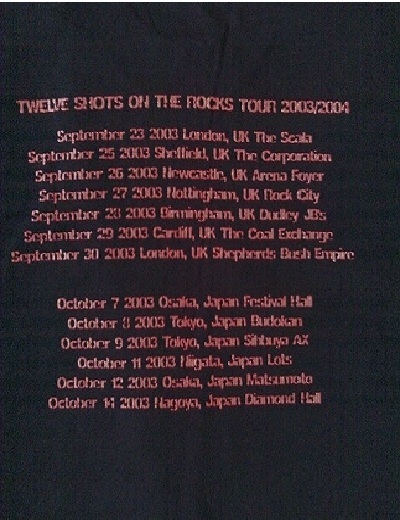 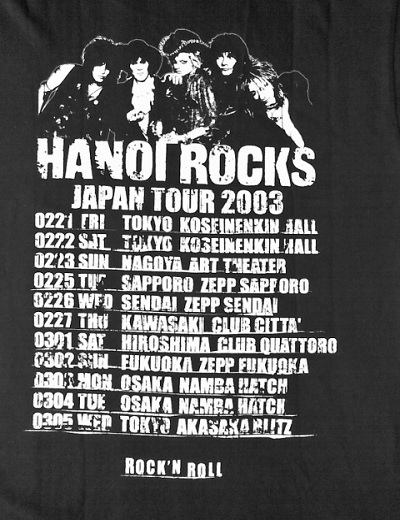 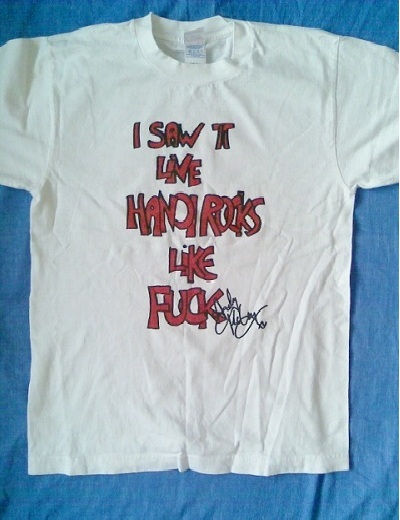 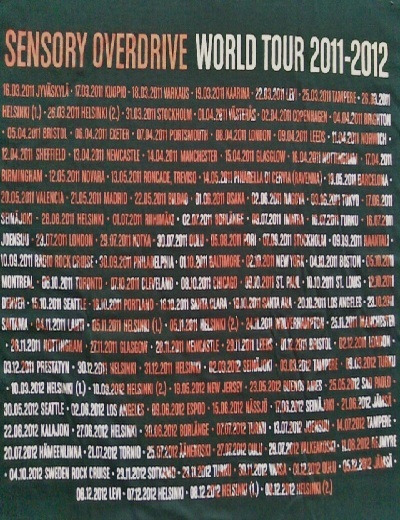 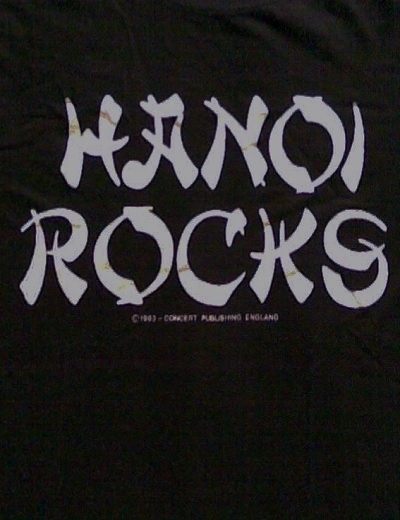 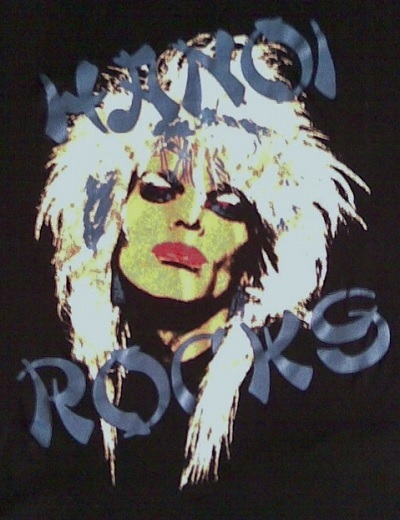 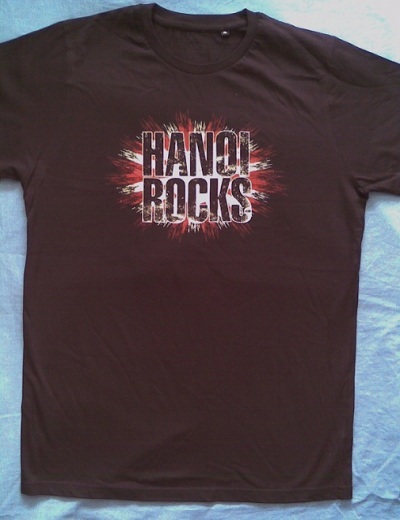 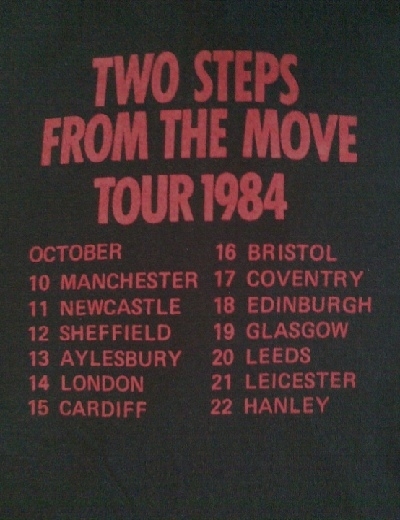 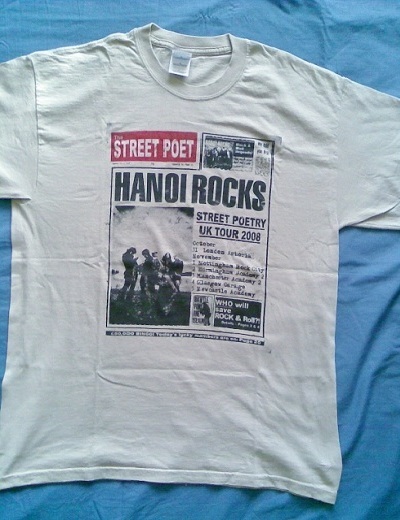 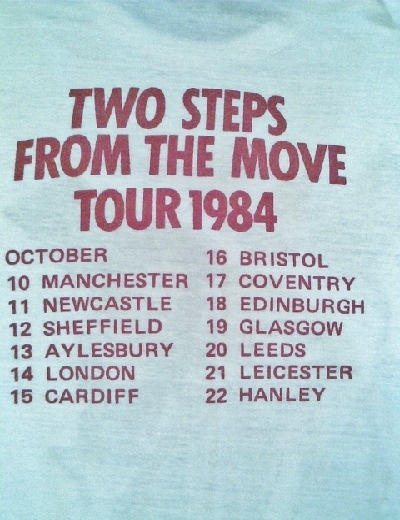 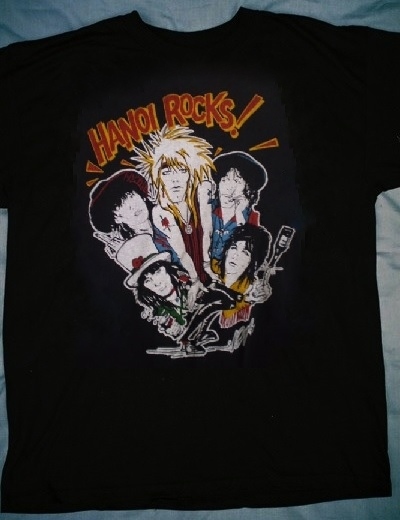 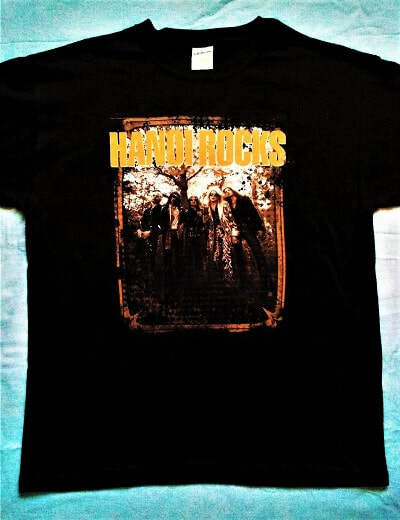 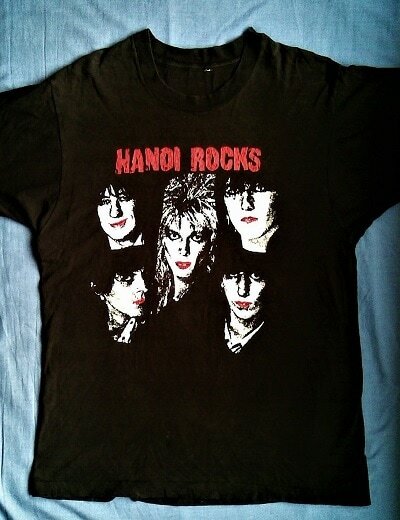 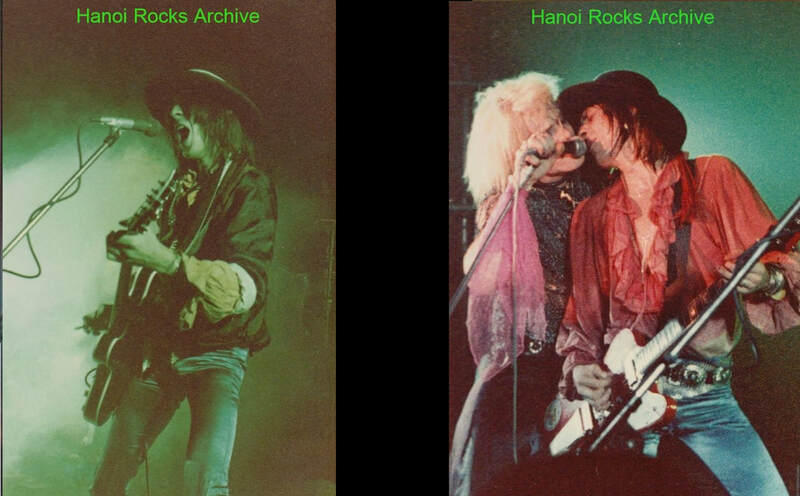 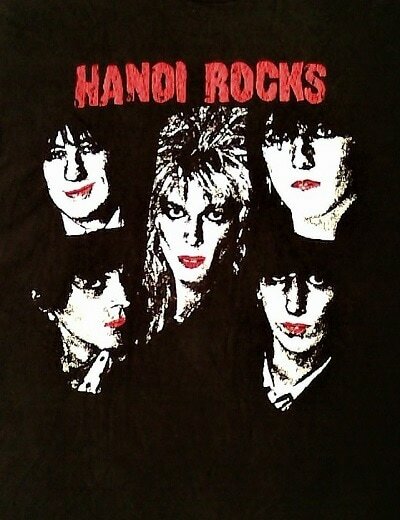 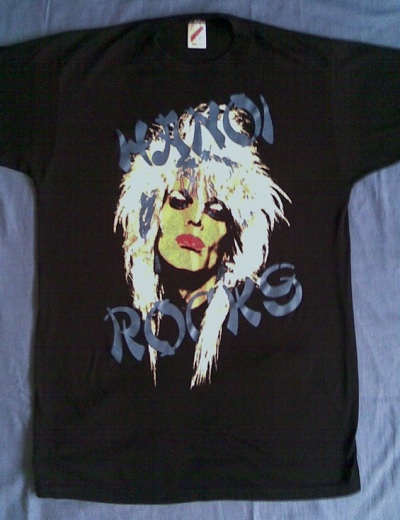 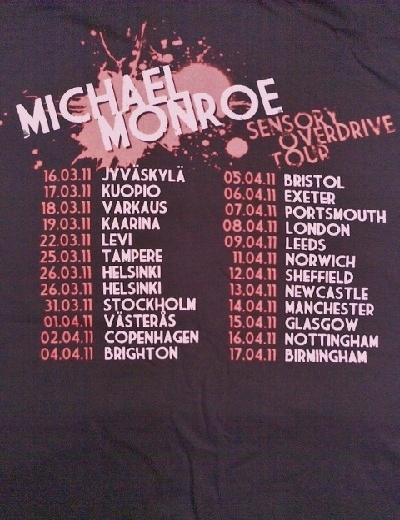 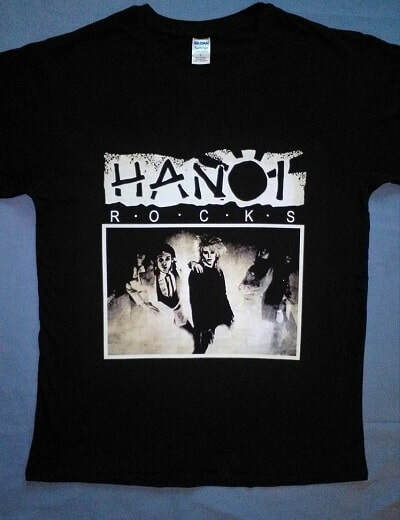 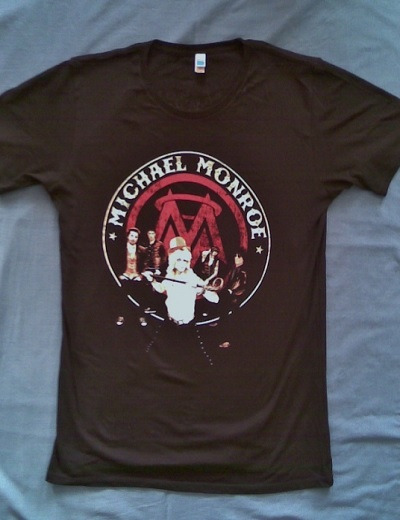 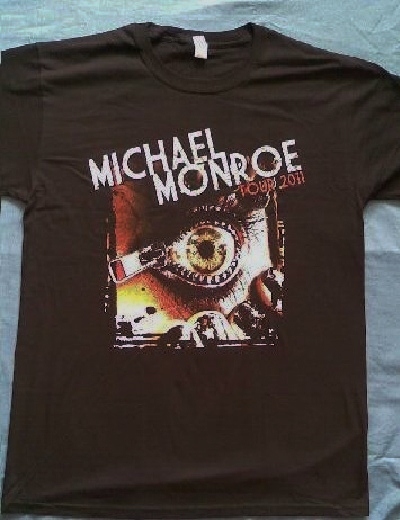 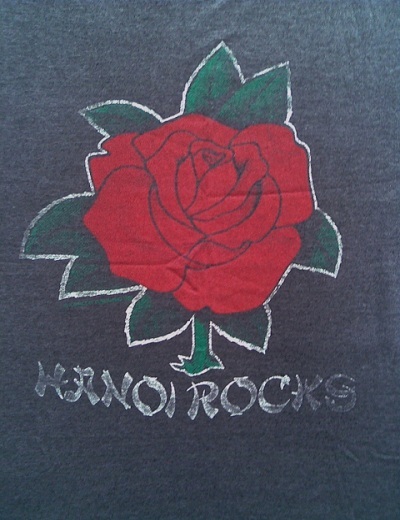 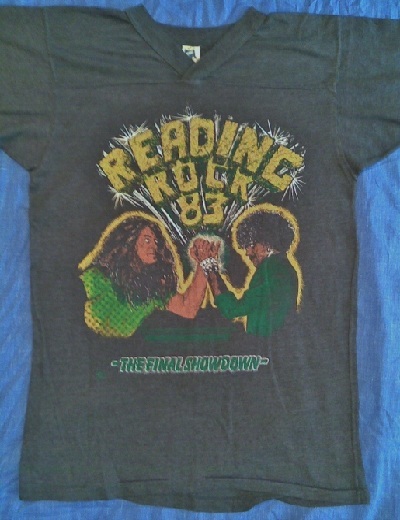 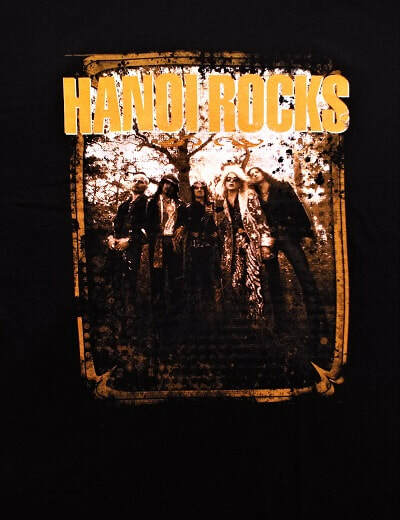 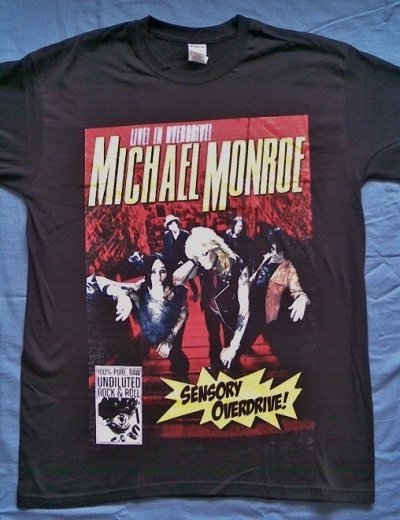 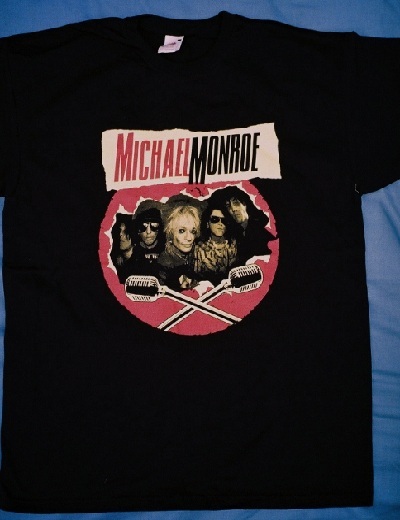 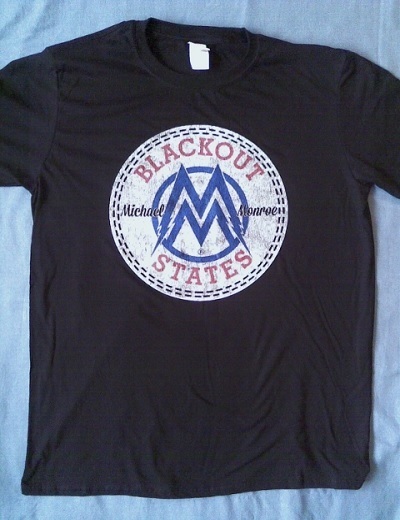 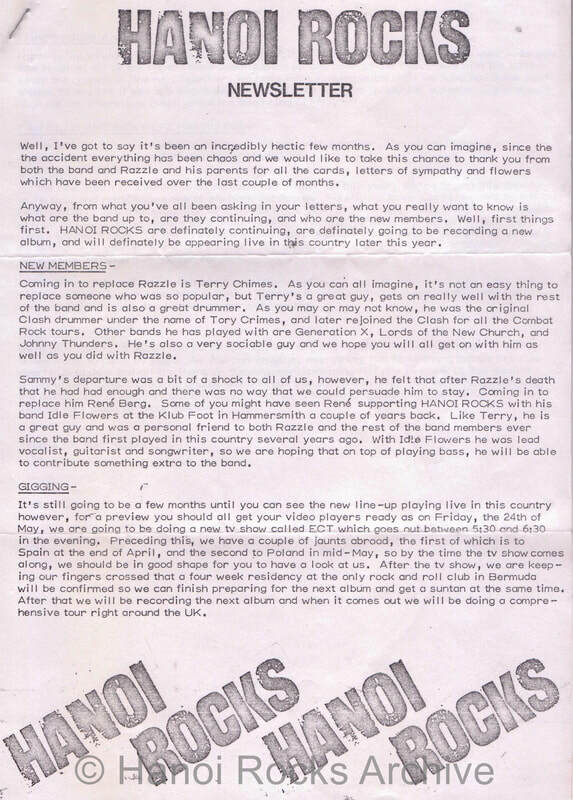 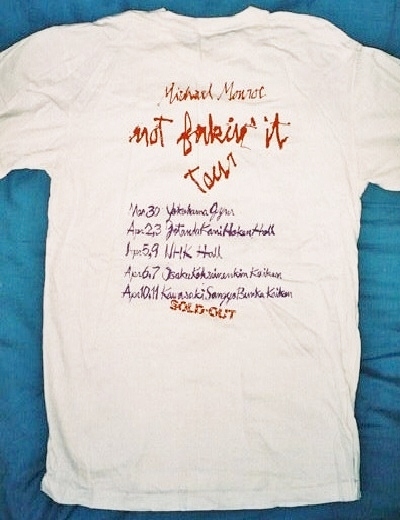 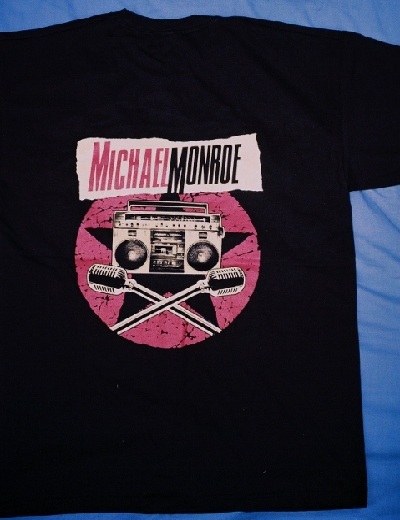 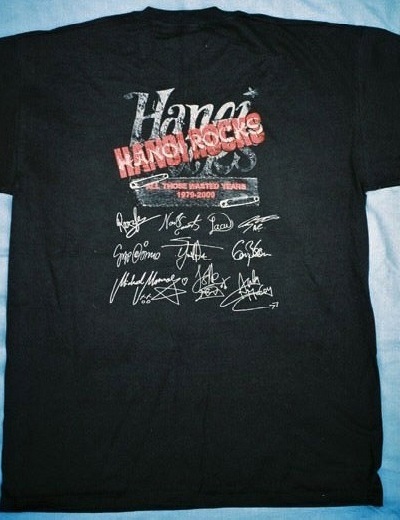 A gallery of Rare & Vintage Hanoi Rocks & related bands T-Shirts from my personal collection. 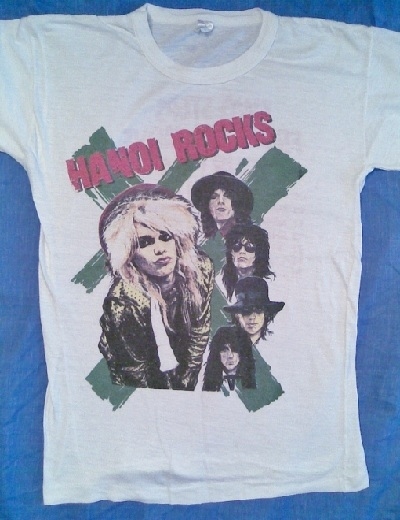 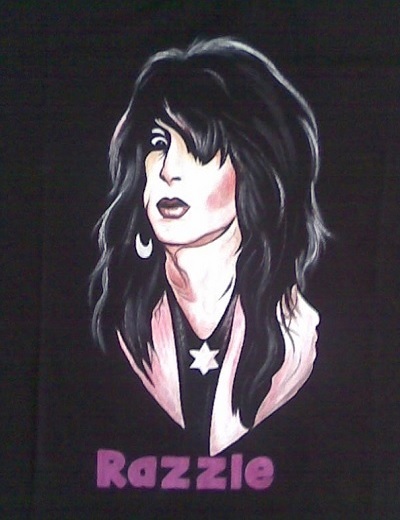 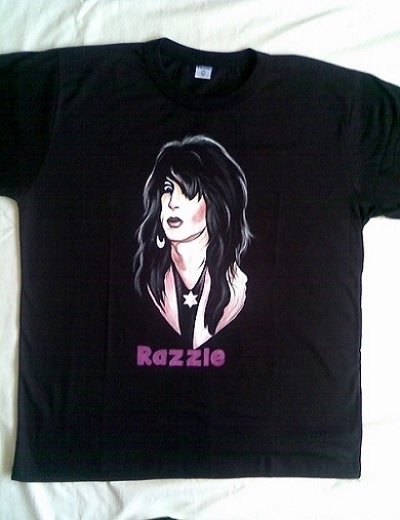 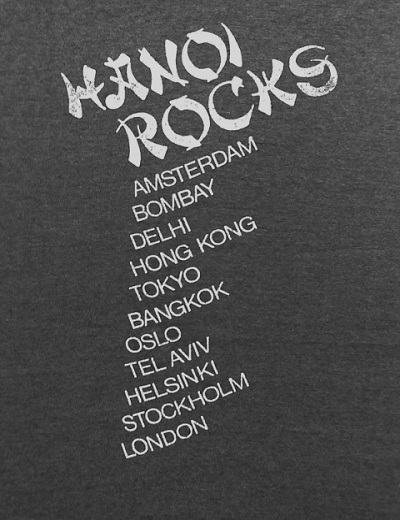 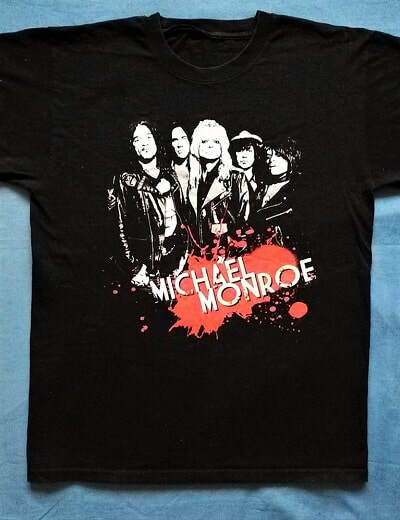 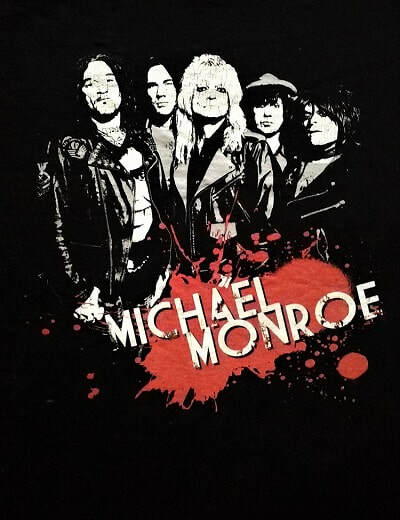 All are authentic,official T-Shirts.If you have any 1980's Hanoi Rocks T-Shirts that you would be prepared to sell,I pay good prices or I can offer a trade.I'm only interested in genuine vintage T-Shirts not recent reproductions or cheaply made rubbish from Thailand. 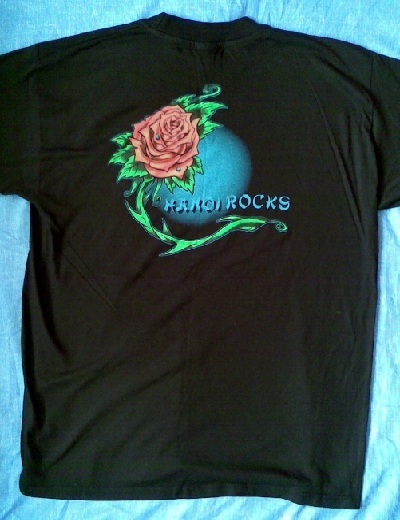 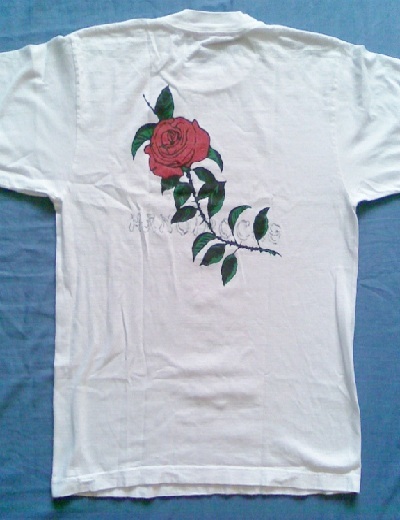 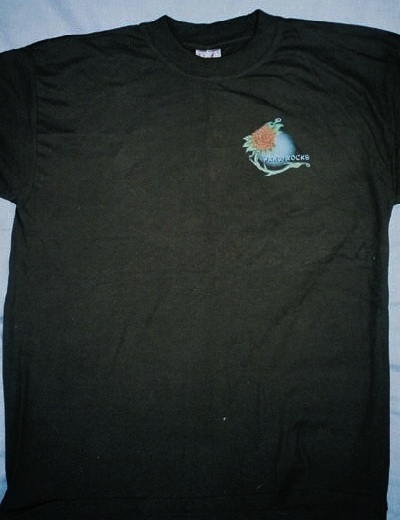 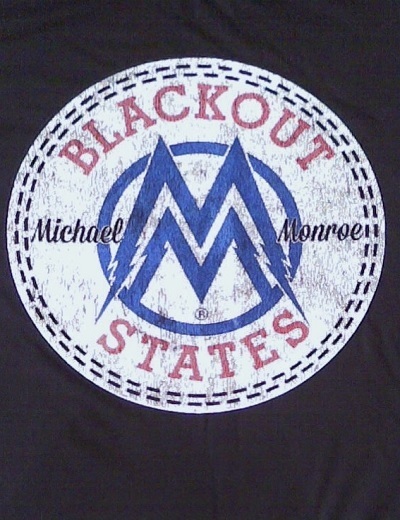 All T-Shirts should be in good 'vintage' condition,some signs of ageing are acceptable,no holes or cut off sleeves. 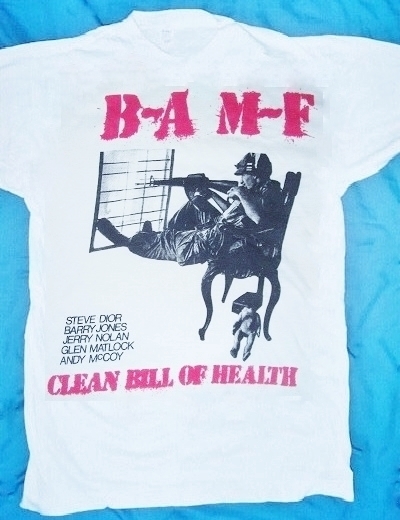 Mega rare B.A.M.F. 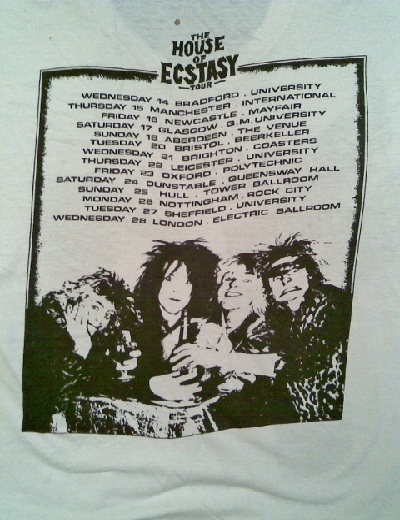 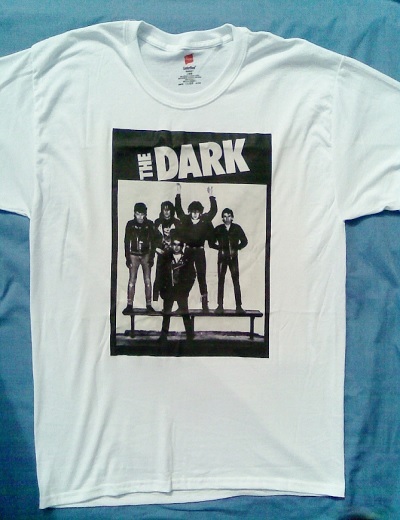 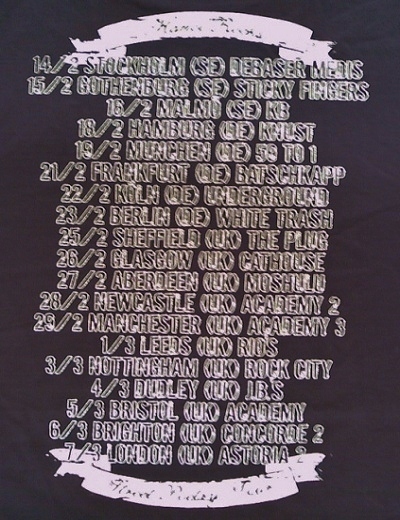 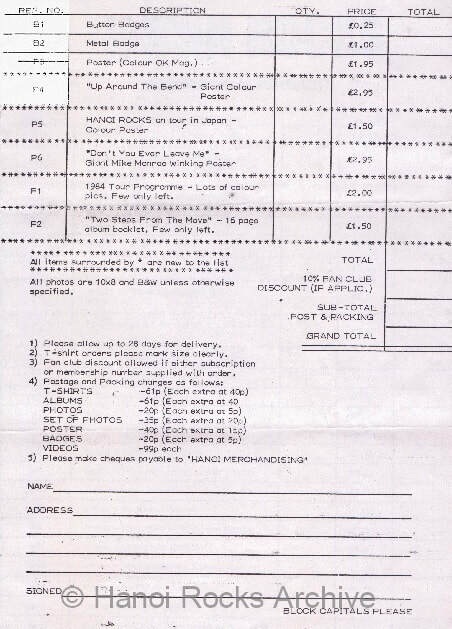 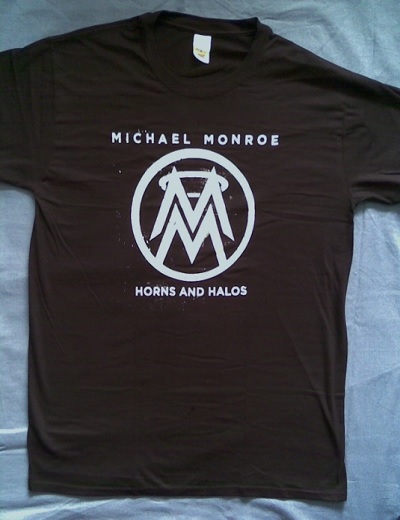 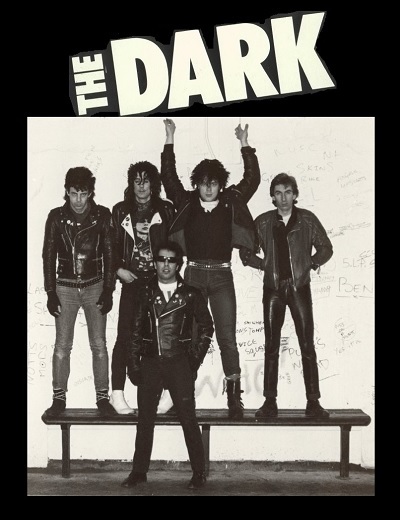 T-Shirt.Limited edition of 200 made for a one-off gig at the Fulham Greyhound,London 21st February 1985.